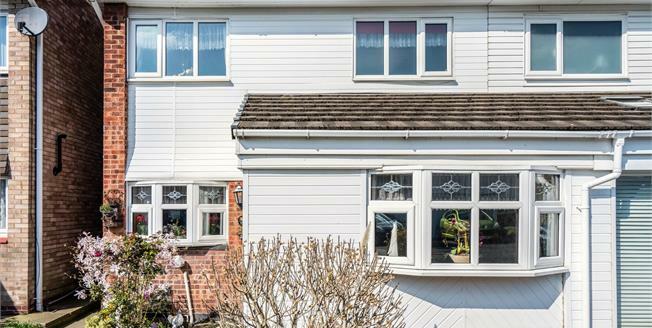 This fantastic size property has been lovingly maintained and well designed by its current owners to offer a spacious and versatile family home which has the added benefit of no onward chain. In brief the accommodation comprises a large entrance hallway, a good size fitted kitchen, a spacious lounge/dining area which leads onto the conservatory, offering an additional reception area, the garage has also been converted to be used as a fourth bedroom and WC offering additional downstairs space. Upstairs boasts three well presented double bedrooms all served by a great size family bathroom. Externally the property has a sunny private rear garden as well as driveway parking to the front for numerous vehicles. Early viewing is recommended to appreciate the size and potential of this home.